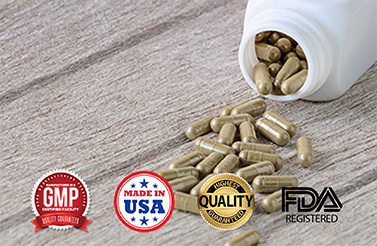 Detoxification supplements are now over a $100 million product category, and the industry continues to climb as individuals look for new ways to detox and get healthy. Cleaning and detoxing has become a hot topic among health conscious individuals, and detoxification supplements will help speed up that process and rid the body of toxins. These toxins can occur from drugs, alcohol, the environment, and even the foods that we eat. Detoxification supplements work to detox internal organs such as the colon, liver, gall bladder, kidneys, and skin. As a result, these supplements will promote a healthy immune system, and individuals have noticed higher energy levels on a daily basis. They have also been known to provide a more restful sleep, better blood circulation, and improved metabolism. BioThrive Sciences is a proud private label manufacturer of the best detoxification supplements. Read on to learn about our detoxification supplement manufacturing process. From encapsulation to coating, packaging, labeling, and exporting, BioThrive Sciences is proud to be a leading full service supplement facility. In fact, we serve some of the industry’s largest and most respected customers in the supplement and nutraceutical market. With over 20 years of experience, our expert staff has the knowledge to help you target your market and produce a detox product that sells. During the first phases of productions, we work with our clients to develop the best ingredients and recipes for detox supplements. Prior to production, your detox supplements will be researched and tested. We place a high importance on meeting the requirements of Good Manufacturing Practices, and each design and labeling will meet the governing agency’s requirements. With our start to finish services at BioThrive Sciences, we’re confident you’ll be completely satisfied with our detoxification supplement manufacturing. No matter what stage of supplement manufacturing you’re in, BioThrive Sciences can help. From capsules, tablets, powders, liquids and gels, we offer the best detoxification supplement manufacturing. With flexible terms, we have the capacity to manufacture both large and small orders. We are highly dedicated to our customers and are confident we can provide the best in detoxification supplement manufacturing. Contact us for more information at 1-844-263-3657 or send an online message today.